Grace Timmins was born circa 1890 in Syracuse, Onandaga County, New York. She married Percy Luther Cady, son of Clinton E. Cady and Margaret B. Caughey, on 4 July 1912 in Niagara Falls, Welland County, Ontario, Canada, with Baptist clergyman Rev. A. E. Quinn officiating, and Mrs. A. E. Quinn and Bert M. Quinn. Both the bride and groom were residents of Syracuse. The following appeared on 5 July 1912 in The Post-Standard: Miss Grace Timmins, daughter of Mr. and Mrs. Abraham Timmins of No. 114 Avondale place, and Percy L. Cady, son of Mr. and Mrs. Clinton E. Cady of No. 312 Bassett street, celebrated the Fourth by slipping away to Niagara Falls, Ont., and getting married without the knowledge of their parents. The young people have been sweethearts since childhood and their engagement was announced nearly a year ago, but the bride's parents had expressed a desire that they be married one year from this month. A church wedding was planned and Mr. Cady had promised to have a home built and furnished for his bride by that time. Love, however chafes at delays and a year seemed a long time to wait, while the ideas of a church wedding with the attendant pranks of good-natured friends was more acceptable to the parents than to the young couple. Consequently, Miss Timmins and Mr. Cady laid plans for a ssecret wedding and selected the birthday of American liberty as the natan day of their wedded happiness. Early yesterday morning Mr. Cady called for his bride-to-be, and explaining that they were going to Utica for the day, they left the city at 9:15. Instead of going there, however, they went to Niagara Falls and called at the parsonage of Rev. Mr. Quinn, pastor of the Baptist Church, who performed the ceremony late in the afternoon. They took the next train out of Niagara Falls, arrived in Syracuse early last evening and went immediately to the home of the bride. In the meantime Mrs. Timmins had been told of the marriage, but refused to credit the news because, she declared, her daughter had promised she would not be married for a year and had begun to make plans for the wedding. Shortly after 9 o'clock last night the runaway couple appeared at the Timmins home and broke the news. Mrs. Timmins was almost prostrated, but after much pleading and weeping on the part of mother and daughter, parental love won and the coveted blessing was forthcoming. When seen at the Timmins home, Mr. and Mrs. Cady refused to discuss their elopement beyond admitting that they ran away and were married. "We are married and that is all there is to it," said the happy bridegroom. Mrs. Cady is 20 years old, well known and popular among the young people in her section of the city. She is a prominent member of the Calvary Baptist Church. "There was absolutely no objection to the match, but they got married rather suddenly," was all the comment the bridegroom's father would make last night. Percy Luther Cady registered for the draft on 5 June 1917 while living with his wife and two children at 109 Griffin Street in Syracuse, employed there as a stenographer at New Process Gear Company. Percy Luther Cady and Grace Timmins appeared in the US federal census of 1 January 1920 in Syracuse, Onandaga County, New York, at 435 Fellows Avenue. Other members of the household included Donald C. Cady, Beatrice G. Cady and Percy Luther Cady Jr.
Percy Luther Cady became a widower at her death. Grace Timmins died on 8 February 1920 in Syracuse, Onandaga County, New York, at the Crouse-Irving Hospital. She was interred at Woodlawn Cemetery, Syracuse, Onandaga County, New York. 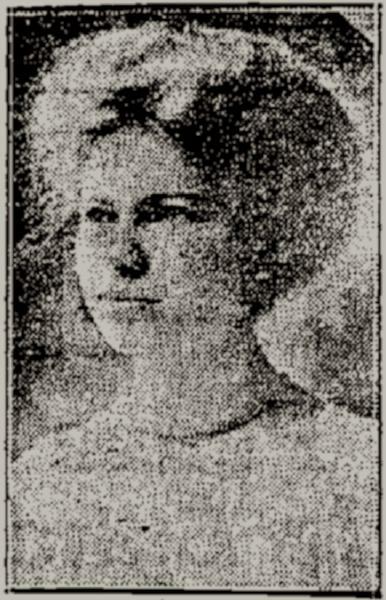 The following appeared on 9 February 1920 in The Post-Standard: Mrs. Grace H. Timmins Cady, wife of P. L. Cady of No. 435 Fellows avenue, died yesterday morning of pneumonia at the Crouse-Irving hospital, following a short illness. Mr. Cady is confined to his home with a severe cold. Mrs. Cady was 29 years old, a graduate of Central High school, a member of Calvary Baptist church and Syracuse Chapter No. 70, Order of the Eastern Star. She was well known among the younger people in the eastern part of the city. Besides her husband she is survived by four children, Donald, Percy Jr., Beatrice and Grace Timmins Cady; her parents, Mr. and Mrs. Abraham Timmins of No. 416 Greenwood place; one brother, Lester S. Timmins of Buffalo, and two sisters, Elizabeth and Gertrude Timmins. The funeral will be held at the home at 2 o'clock tomorrow afternoon, Rev. George Middleton, pastor of Calvary Baptist church, officiating. Burial will be a Woodlawn cemetery.